Some gadgets use internet but don’t support a VPN connection so, how do you use a VPN connection on devices like Sony PlayStation 3 (SPS 3), PSP, Xbox, AppleTV, Wii without a DD-WRT router? The response is simple: you just need a Laptop with Windows 7 on it and active VPN services. If you have iMac or MacBook instead, go to this tutorial. Step 1: Set up your laptop to be like a WiFi router. Open Command Prompt with elevate privilege. Click the Start button (1). 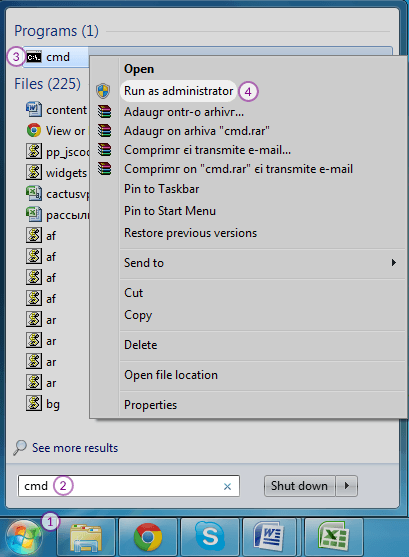 In the list of results, right-click “cmd” (3), and then click “Run as administrator” (4). If you’re prompted for an administrator password or confirmation, type the password or provide confirmation. press “Enter”. 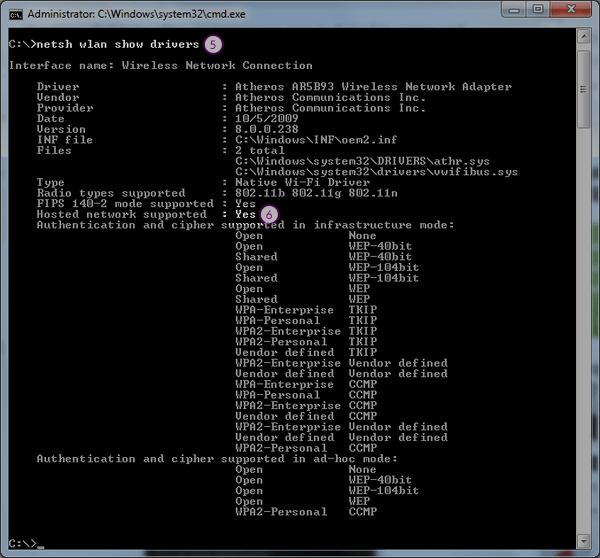 If next to “Hosted Network Supported” is written “Yes” (6) then everything is ok and you can go to next step. If it says “No” then you have to install drivers for it. If you see the message “hosted network couldn’t be started”, then your WiFi driver is outdated. Update necessary drivers, running Windows Update or downloading the latest version from official website. 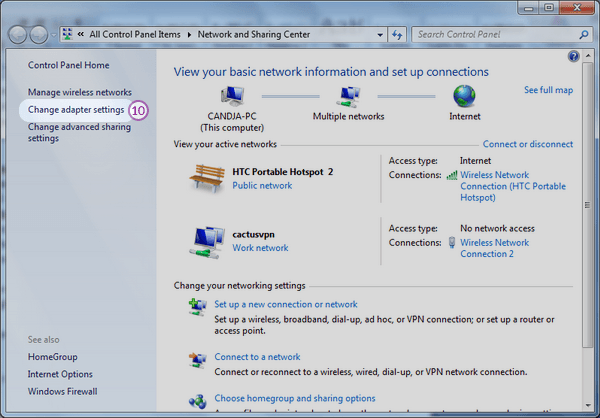 Go to “Open Network and Sharing Center” by right-clicking your WiFi icon (9) from the right bottom corner of your screen. Go to “Change adapter settings” (10). Right-click on the VPN connection you’ve created previously (11) and go to “Properties” (12). Remember the name of the new connection created. You will need it in the next step. 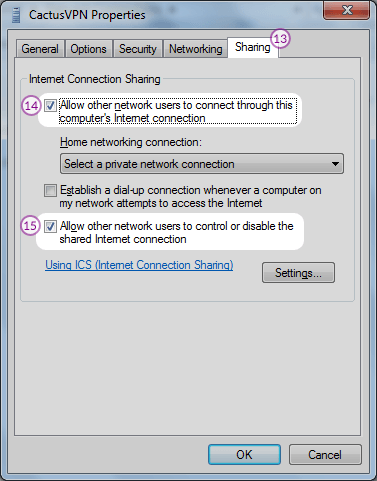 Go to “Sharing” tab (13) and check on the checkbox next to “Allow Other Network User to connect through this computer’s Internet connection” (14) and next to “Allow other network users to control or disable the shared Internet connection” (15). On “Home Network Connection” select the connection you’ve just created. Click “OK” (16) on the next window. Connect to CactusVPN server from your laptop. Use the new created “cactusvpn” WiFi connection from your SPS, PSP, Xbox or AppleTV.